If regular replacement of your device is uneconomical or no longer possible, we will prepare cost-effective and certified methods for the continued repair of your devices – sustainable and future-proof. Boost the availability of your devices through us by incorporating us as an alternative or second repair center. We are then not only responsible for the actual repair work but also able to develop new repair processes that enhance your economic competitiveness. 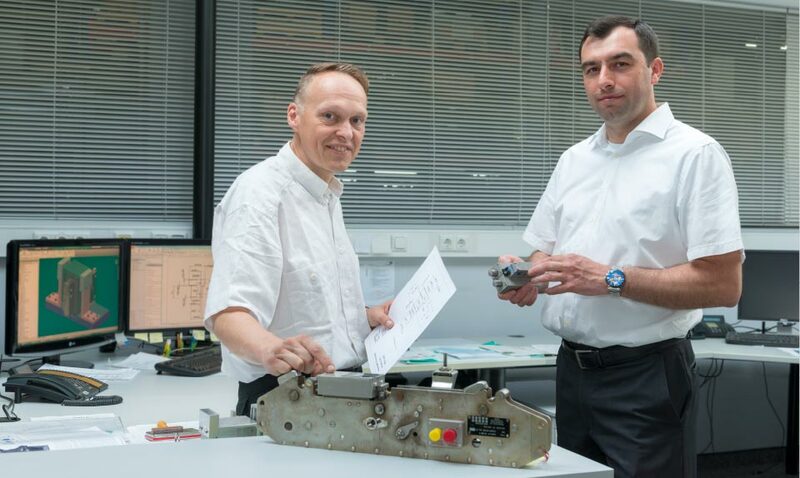 Development manager and design engineer discussing the newly developed repair method for the release mechanism of a weapons carrier from the MK-88 helicopter.